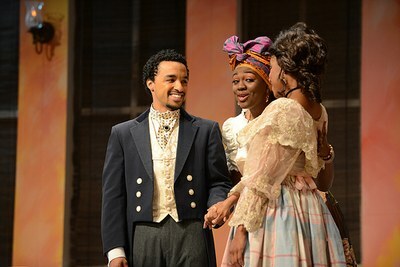 Above photo: UofL's AATP Production of Baltimore (2017). Photo by Kirsten Greenidge. Founded in 1993, the African American Theatre Program is the first (and only) graduate program in African American Theatre in the region. 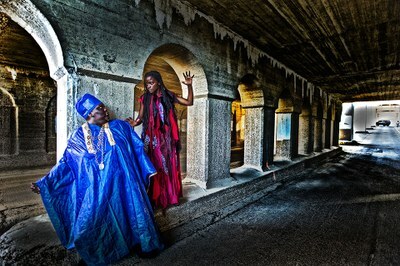 The program is committed to staging works by new and established African-American dramatists, developing a broad audience for African American theatre, and offering an in-depth curriculum that focuses on the theory and craft of acting, directing, and designing for Black Theatre. We are excited to offer Louisville audiences the chance to see an array of classic and cutting edge African American performances. 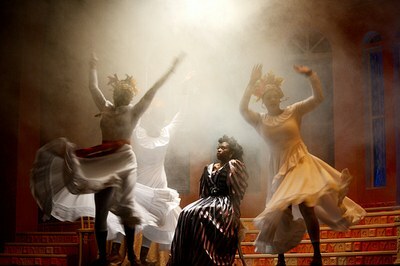 We offer an incredibly unique opportunity for students to study African American Theatre; its history, literature, aesthetics as well as the crafts of acting and directing. Here you will learn training not only for William Shakespeare and Tony Kushner but also August Wilson, Pearl Cleage and Wole Soyinka. 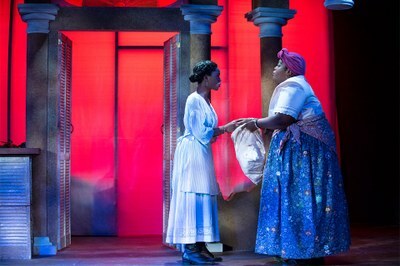 Learn more about the African American Theatre Program's academic requirements and courses. Why choose the University of Louisville for Theatre Arts? The theatre faculty and staff are outstanding. Every person is committed to the students and to working with them through close mentorship; we educate and challenge students to become critical thinkers who take pleasure in creating art. The University of Louisville is deeply committed to the arts. At the University of Louisville, you will join a community of students and faculty who have created a positive, supportive force for social and personal transformation and active inclusion and engagement with campus, local, regional, and global communities. Students receive hands-on training at the University of Louisville. All students have the opportunity to audition, stage manage, and sometimes even design during our Mainstage Season. The Theatre Arts Department offers a Bachelor of Science in Theatre Arts and a Master of Fine Arts in Performance. I like theatre, but I don't know if I want to do it professionally. Should I major in Theatre Arts? You should certainly consider it. At the University of Louisville, the Theatre Arts Department prepares students to explore a world through theatre and performance with courage, discipline, and skills gained from the world around you. Paired with a Liberal Arts curriculum, a Theatre Arts major will prepare you for a number of professions. Do I have to audition/interview to be a Theatre Arts major? For the undergraduate program in the Theatre Arts Department you do not have to audition or interview. 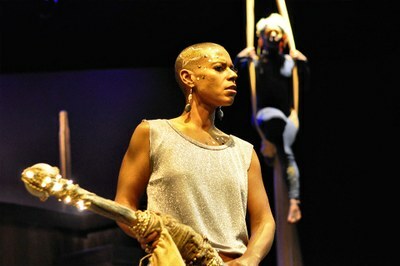 For the MFA in Performance program an audition and interview is required. For more information on these programs you can read about them under the Academics page. Does the Theatre Arts Department offer scholarships? We offer competitive work scholarships in scenery, costumes, lighting, sound and properties. Applications consist of letter of interest and resume to our Production Manager and Director of Undergraduate Studies, Garry Brown. What accreditation/affiliations does the Department/University have? The Theatre Arts Department is one of approximately 177 National Association of Schools of Theatre (NAST) accredited institutions; NAST is the national accrediting agency for theatre and theatre-related disciplines. The University of Louisville is accredited by the Commission on Colleges of the Southern Association of Colleges (SACSCOC), the regional body for the accreditation of degree-granting higher education institutions in the southern states. Our department is also affiliated with and visits the Southeastern Theatre Conference (SETC), the United States Institute for Theatre Technology (USITT) Annual Conference and Stage Expo, the Black Theatre Network (BTN), the National Black Theatre Festival (NBTF). We have also recently been exploring joint productions with StageOne Family Theatre and Actors Theatre of Louisville. Can I take Theatre Arts classes if I'm not a Theatre Arts major? Yes. there are many courses available to non-majors and many of them will also count toward General Education courses in Written Requirements, Cultural Diversity, and Arts. There are some courses restricted to Theatre Arts majors and others that may require permission from the instructor. What professions might I enter with a Theatre Arts degree? Many of our graduates go on to careers in acting, directing, writing, designing, and producing. After graduation, some students move to Chicago, New York, Atlanta, Seattle, or Los Angeles. Some students take on internships or apprenticeships at regional theatres or other arts organizations. Others may go into film, television or other arts disciplines, or become teachers, using their training in theatre with their work in literature, history, and music. This major prepares you to excel in a wide range of other fields, especially those that place a premium on innovation, collaboration, and communication. Recent graduates have gone into careers in law, business, medicine, journalism, and many others. Many of our students also pursue graduate school after graduating from their undergraduate program. Is your program a conservatory or a liberal arts program? The undergraduate program in Theatre Arts has a liberal arts focus, with students studying four core elements of theatre. The Master of Fine Arts in Performance program is conservatory-based, with students studying elements of performance specific elements of theatre, including acting, voice, movement, and various academic courses. How big is the department? There are approximately 50 undergraduate majors, 12 graduate students and 20 minors. We have 10 faculty and 5 staff members in the Theatre Arts Department. Undergraduate Theatre Arts majors will take classes in Acting/Directing, Design/Production, History/Literature, and African American Theatre. Electives are available in acting (including voice and movement), directing, costumes, scenery, lighting, sound, and African American Theatre. Graduate students take classes in performance, pedagogy, theory, and analysis. Our largest class is a lecture named Enjoyment of Theatre, which is a General Education requirement; ranging from 200-300 students. All other Theatre Arts classes generally range from 12-22 students. Is it possible to do a double major? Absolutely, theatre often takes place in an interdisciplinary learning format. In the past, Theatre Arts majors have also majored in French, English, Philosophy, and History. How many productions are presented each year? We produce five plays in our Mainstage Season that are faculty directed and designed. We also invite guest artists to direct and design productions from time to time. Our Studio Theatre season consists of six weekends (three per semester) in which productions are fully produced and coordinated by students. The department also hosts a number of workshops, variety shows, lectures and events throughout the year. General admission for adults is $15. Alumni, Senior Citizens, and University of Louisville Faculty/Staff are $12, Students are $8. Those interested in seeing plays for no charge can volunteer to usher for our performances in exchange for a ticket. 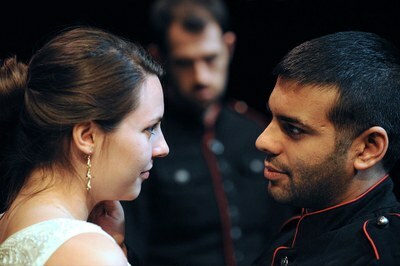 Studio Theatre productions are free and no ticket is required. Tickets are available online. Please click the box office tab for more information. How can I audition for plays in the Theatre Arts Department? Auditions for our productions are open to anyone. We typically hold auditions for productions in the months of August, November, January, and April. Auditions generally consist of a cold readings and/or a prepared monologue. Auditions are announced in local papers and online on our website, or you may call our front office to find out when auditions will be held. If I don't get cast or am interested in backstage work, how do I get involved? Contact Production Manager Garry Brown if you are interested in scenery/lighting/sound/props, Costume Shop Coordinator Melissa Shepherd if interested in costumes, or Box Office Manager Melanie Henry if interested in Front of House. Will I get to be involved in productions during my first year? YES! All new students are invited to audition, and encouraged to begin their required work on productions. Volunteer ushers and/or backstage crew members are also invited to participate in our Mainstage season, and all students are encouraged to participate in Studio Theatre productions. Where are the performance venues? What types of facilities do you have? The department has two theaters and two rehearsal halls. The Thrust Theatre is a three-quarter thrust stage with a seating capacity of 164. The Playhouse is a proscenium style stage with a seating capacity of 354.